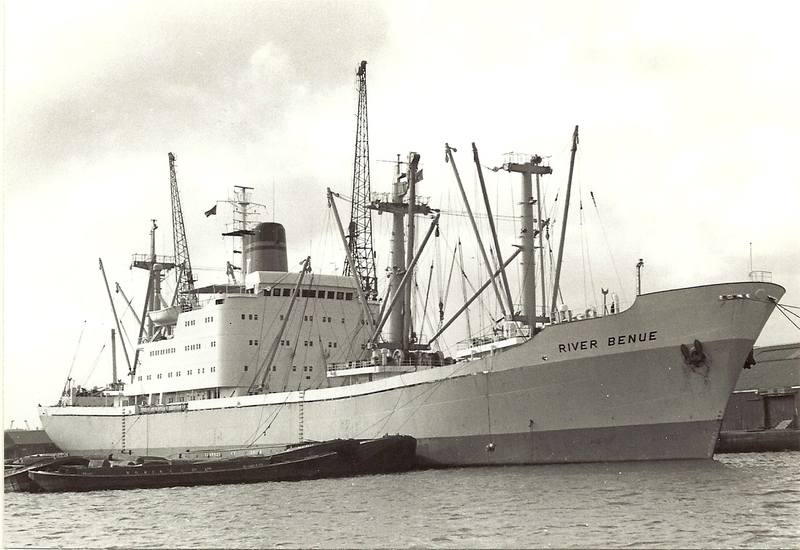 The Nigerian National Ship RIVER BENUE in Tilbury at about 1972. 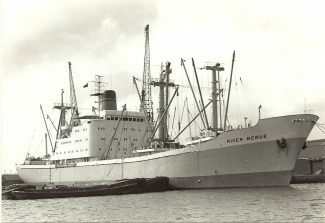 She was built in 1968 with a 8003grt. She had wear on her steering gear and I went on board to investigate how to carryout the repair and remove the gear.